How do I get started with my training? 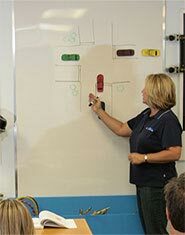 We can register you in advance for our training course and you will only need to have a Class 7N or Class 5 license for car in order to begin the theory sessions with us. Once you have successfully completed the Class 6/8 Learners knowledge test with ICBC, you can begin the practical training. In order to provide a safe environment and a comprehensive understanding of road rules and regulations, our students must have the minimum of a Class 7N to take Motorcycle training with us. What kind of motorcycle equipment do I require? Dress for Success: Courses run rain or shine. Make sure you are prepared for the elements. Shoes: Closed toe, above ankle boots/shoes; Steel-Toed boots are not recommended, as it is difficult to feel the gears shift. Attire: Be sure to wear thick, full coverage clothing (long sleeves and pants). Water resistant pants and jackets are highly recommended during our fall and spring courses, as the weather is unpredictable. Layering your clothing is recommended for the elements. Our students receive a 10% discount on their riding clothing purchase at Rubber Side Down Motorsport Clothing Inc! Visit them for top quality riding gear in leather, textile, nylon and other materials. Rubber Side Down can even work with you to design your own gear and have it custom made! Does taking Motorcycle Training provide me with an insurance discount? Some private insurance companies in the province of BC offer a discount to students who have completed a certified motorcycle course. I’ve been riding dirt bikes for years, do I really need to take a training program? From our experience, dirt bike riders experience the same learning curve and challenges relating to slow speed maneuvers, braking exercises and riding in traffic as other “new to the road” students. 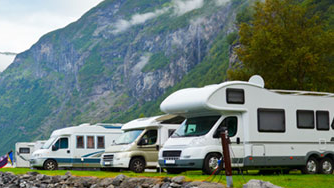 Many students come in with previous riding experience, and years of driving experience. What we routinely find is that these students are surprised by how much they learn from our course and many are shocked at the number of “bad habits” they have picked up over the years. 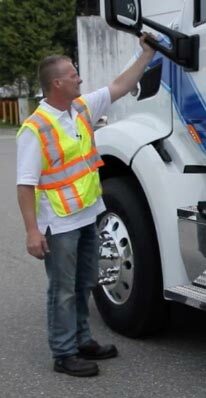 We will teach you all of the elements that are contained within the ICBC road test, plus much more. 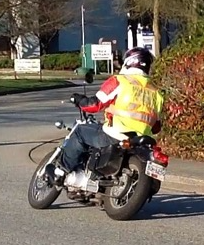 We consider the ICBC road test to be an entry level riding test. We are committed to teaching you to a higher standard, so that you will be riding safely for many years to come. Will my Instructor be able to help me if I’m struggling while in the group sessions? Our practical sessions have a maximum of 5 students per Instructor so that our Instructor can offer individual attention to each of our students. We can also offer one-on-one training tailored to fit your needs. My schedule and availability changes regularly, will your courses work with my schedule? We have various course dates available throughout our locations so you are more than welcome to split up the training dates to work with your current obligations. To maintain your knowledge during the training we would suggest completing everything over a maximum of 1-2 months. Click here to view our Course Calendar. Are you able to perform the parking lot test (motorcycle skills assessment) at your location? Yes, the Motorcycle Skills Assessment (MSA) is included in our Motorcycle Skills Program and can be completed for you at our location with our ICBC Approved Assessment Officers. I have my motorcycle road test coming up soon, can I rent your bike for the test? Motorcycles are available to rent for your road test for Valley Driving School students who have completed the Complete Motorcycle Training Program or if they need to retest for their class 6 road test. do you have different bikes available? Our motorcycle fleet contains a variety of modern, beginner friendly motorcycles equipped with specialized handlebars and side-bags. The majority of our bikes are 250cc. I am worried your motorcycles may be too big/too small for me, can I still take the course? We have taught all different sizes of people over the years and have not had a problem with anyone not “fitting” the motorcycle. If you are concerned, we encourage you to visit one of our offices and determine if our motorcycles will meet your needs. For students that are very tall, we will adjust the handlebars on the motorcycle in order to make them feel comfortable. are most convenient for you. "All the Instructors shared great tips and instructions with us. Regardless of whether or not I pass the Road Test tomorrow, I had a fantastic experience. I went from "no experience" to feeling comfortable riding the bike through town." "Considering my beginner level (never having ridden a motorcycle) I was extremely impressed with the thought put into the course's building blocks of each skill level. The students in my class learnered differently and the Instructor read each student individually; adjusting his teaching style accordingly. ie. I responded well to encouragement and positive feedback while correcting me. "I just passed my motorcycle road test. I never could have accomplished this feat without the excellent instruction and patience shown by both my Instructors. I have become a much safer driver overall and cannot express enough of my gratitude to the staff. I would highly recommend this service to anyone learning to operate any vehicle. Thank you to the Valley Driving School team." "The motorcycle course was awesome! I learned a lot, made new friends, and can now safely and effectively operate any motorcycle. And during the road test, a bird even pooped on me to wish me luck! Lol. And yes, I passed with flying colours! I owe most of my knowledge to our road instructor, (who I nick named "Papa T"). He was very patient & very thorough with instructions. He gave us positive feedback, and made me feel more confident and gave me the tools I need for trouble shooting in my future rides. The other instructors, (and the Office Manager, of course! ), are very knowledgeable, friendly, and just all out awesome people. I will not hesitate to recommend VDS to all my friends who want to learn to ride. Thanks again guys and I hope to see you in my future travels!!" "This last weekend, I completed my Motorcycle Skills classes at Valley Driving School. It has been over 14 years since I last rode a bike, and not very well at that, but I now feel incredibly confident to face the Traffic portion, and I feel very comfortable on a bike. My Instructor is an excellent teacher, and helped me past my barriers to pass my Skills test with zero problems. The location is wonderful - it is isolated enough that I was not afraid of traffic, but very easy to find. The bikes were reliable and fun to ride. "Well after years of taking many different forms of training and courses I commend Valley Driving School for their excellent motorcycle class 6 licence course. From the classroom and especially the practical, passing on their years of knowledge and drilling into us the legal methods of driving so we would pass the ICBC test, I PASSED today; thanks guys. Also the ladies in the office did an outstanding job of booking and keeping me informed; well done around. Would recommend Valley Driving School to anyone."